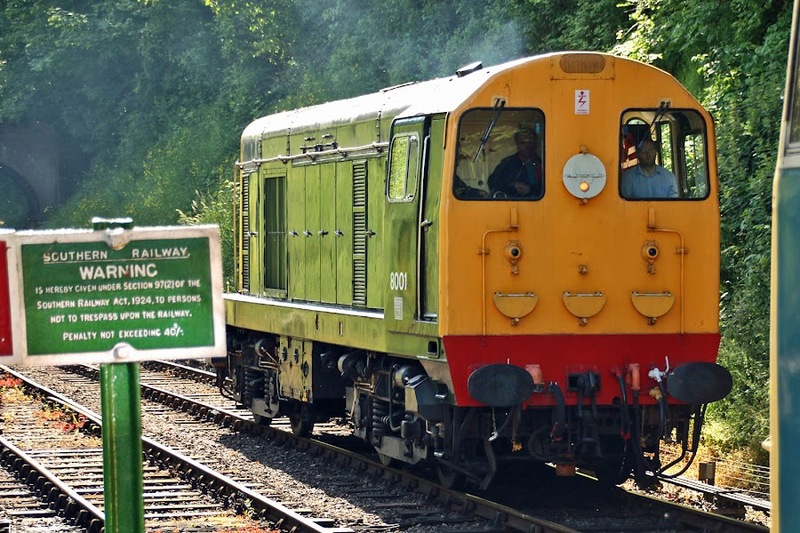 Previously profiled at Butterley in July 2016, 8001 (20001) is now restored to operation. 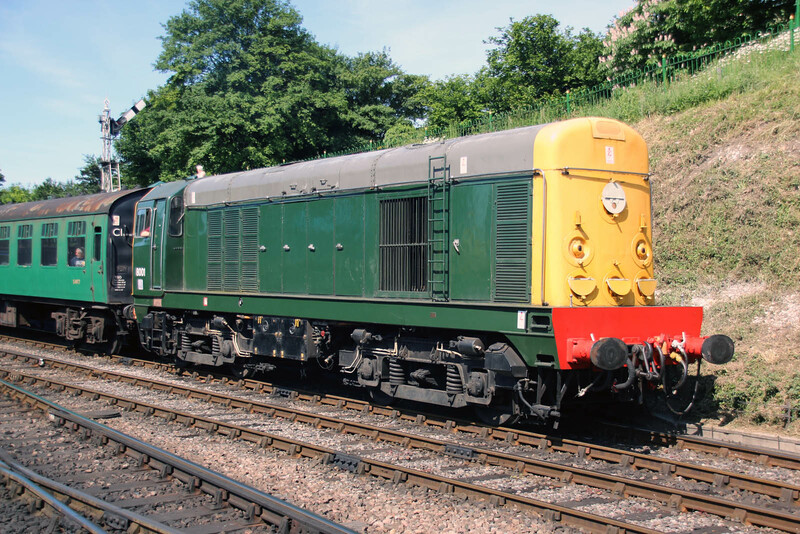 Just coming up to 61 years since it was released to traffic in July 1957, and just over 30 years since it was withdrawn in April 1988. It reached the Midland Railway Centre by 1989, and spent time on the construction of the Channel Tunnel Rail Link (HS1). Arriving at Alresford at the start of the day. Ariving at Ropley from Alton, the token about to be dropped off. 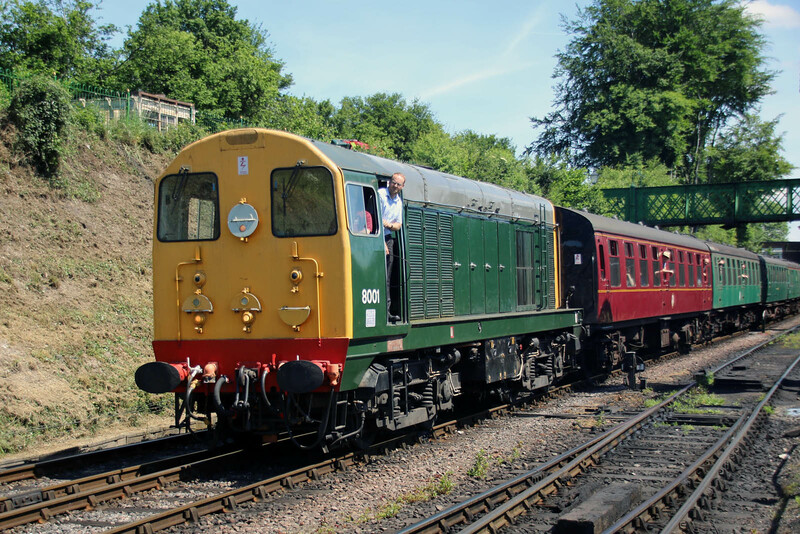 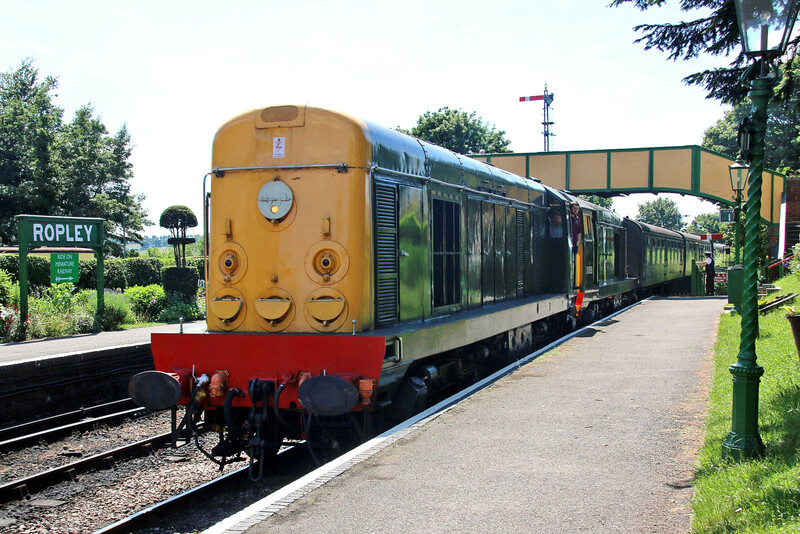 With D8059 (20059), arriving at Ropley.